Included as a part of the XL tin that I received was a tin of Mo Bro’s ‘Vanilla & Mango’ Moustache Wax, using wax on my moustache is now part of my daily beard care routine. 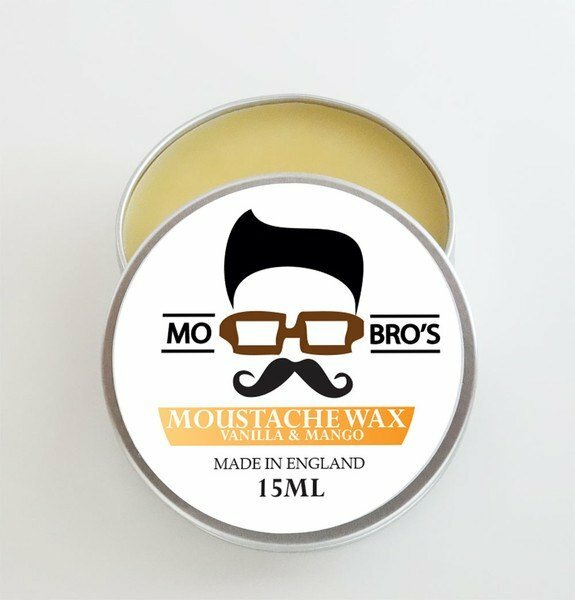 The Mo Bro’s ‘Vanilla & Mango’ Wax is a softer wax that doesn’t need a hairdryer to melt it like some waxes. I use a comb and I use the corner to scrape a small amount out of the tin, I then work it between my thumb and forefinger until it’s soft and then split it between the thumb and forefinger of both hands to apply it to my moustache. The key is that a little goes a very long way, the Mo Bro’s wax is a medium hold wax that gives control to your moustache without setting it solid, if you are after curling your moustache, then this balm might not be up to the job, however for daily control and trying to keep those hairs out of your mouth and food, its perfect. Like the ‘Vanilla & Mango’ beard balm the wax is also a smack of fruitiness and the scent lasts for hours, the wax is also available in Classic Cedarwood, Unscented, Summer Spice, Sweet Mint, Orange Bergamot, Christmas Spice, Into the Woods, Jingle Bell Berries, Winter Fir, Sandalwood, Snowflake Sparkle and Winter Carnival. Mo Bro’s is a company that is getting stronger all the time and so many people message me saying how much they love their products, it’s a testament to them that still manage to offer customer service that is top notch as most companies let that slip as they grow. Basically you can’t go wrong with Mo Bro’s products, they offer sample size products for a few quid and so you don’t waste a fortune on something if you don’t like it.